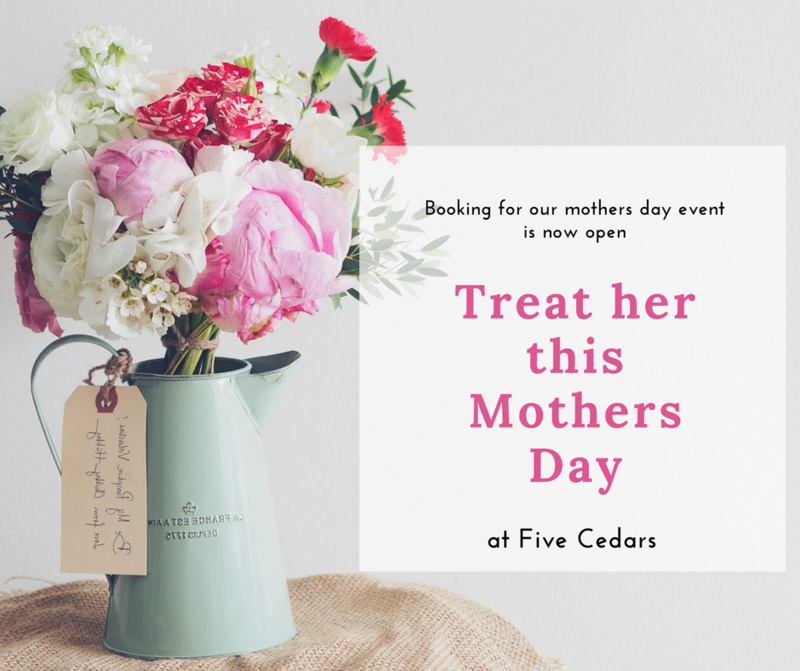 We have created a selection of treatment packages to help you give the mum in your life the perfect Mother’s Day treat at Five Cedars. All available to purchase as a beautiful gift voucher, personalised for your recipient to book at their convenience. Or you can book them in as a surprise – it’s up to you! All vouchers valid for 1 year from the date of purchase. 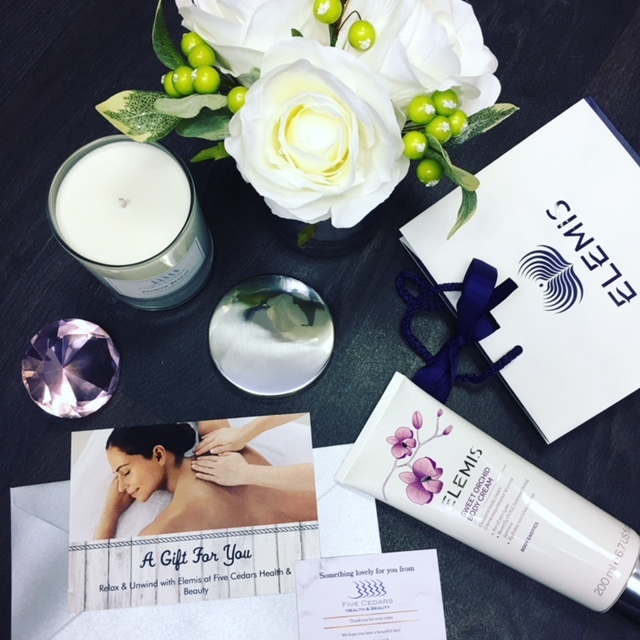 Gift vouchers are also available in any amount and for any of our wide range of beautiful treatments. They can be bought over the phone or online with complimentary first class postage. Or pop in and see us and we’ll help you choose the perfect gift. We are Finalists in the 2018 Exeter Living Awards! 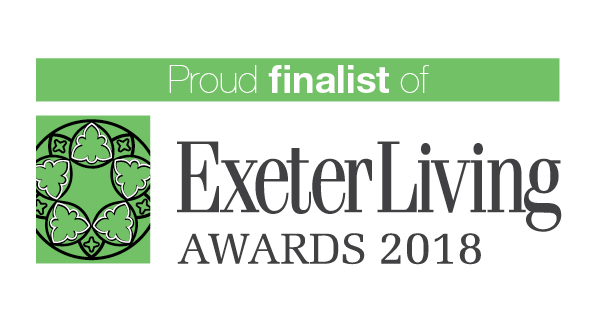 We are beyond thrilled to announce that we have been chosen as finalists for the Exeter Living Awards 2018! Time to get our red carpet outfits ready! We couldn’t be happier that our hard work is paying off and that people love our relaxation space. We have always believed in the Five Cedars experience and it’s fantastic to have that recognised by the judges. The awards night is on the 12th April and we’ll share our pictures with you! Our popular Mother’s day event is returning on Friday 9th & Saturday 10th March this year. Book the Mum in your life in for a treat, or come in for a pamper and relax together. Why not pop across to our friends at Best Western Tiverton Hotel afterwards for a beautiful afternoon tea to finish your special day? Treat your valentine (or yourself!) this February at Five Cedars. 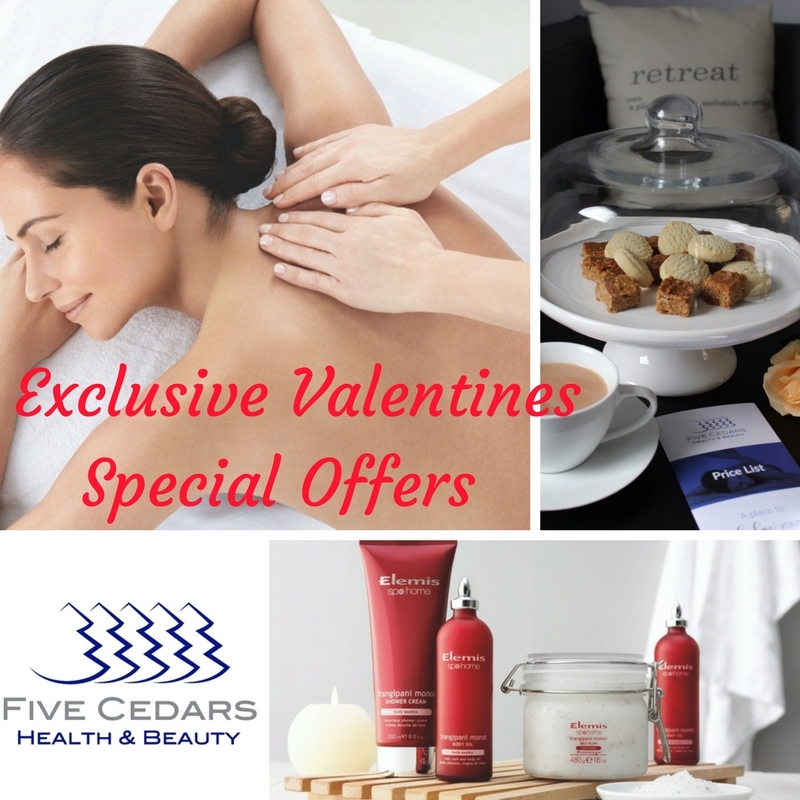 Our February offers can also be purchased as a gift certificate for someone special. This relaxing & lusciously fragrant massage will leave skin velvet soft & nourished. The perfect treat this valentines day. 2 – Receive a £10 discount on the beautiful Elemis Garden of England Rose Restore full body Massage. After all treatments our guests are very welcome to relax in our peaceful lounge with complimentary hot drinks & wifi.